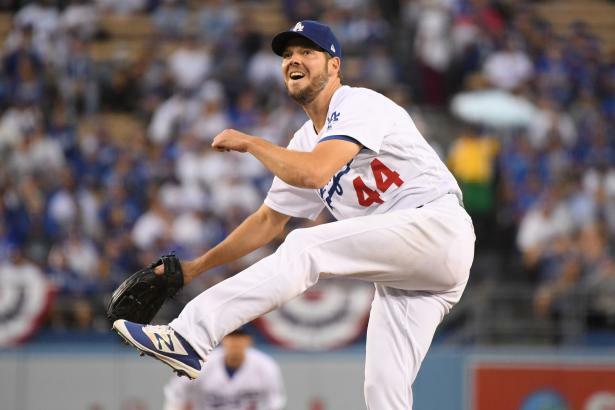 Rich Hill and Hyun-Jin Ryu eye their respective returns to the Dodger rotation, plus the SF bullpen, ARI second basemen, COL catchers, and some lineup changes in SD. Edwin Jackson looks like an option once again for an OAK rotation having early issues. Kole Calhoun's future with LAA, HOU's backup closer, and more. Is Toussaint ready to be anointed in ATL? Plus, a weak start by Difo and Dozier may have WAS rethinking their plan up the middle, Vargas in hot water with NYM, 1B options in FLA, and more. Kolten Wong finally has a green light on the basepaths in STL. Also, the return of Jeremy Jeffress in MIL, the catching situation in CHC, long-term solutions on the left side of the infield in PIT, and Robert Stephenson's impressive early-season skills in CIN. A budding ace in MIN; the rotation takes a hit in DET; big bullpen questions in KC; rough starts for the starters in CHW; another All-Star to the IL in CLE. Vladimir Guerrero Jr. made an immediate splash at AAA-Buffalo. Can a call-up be far behind? Also: the Davis disaster in BAL, Moreland's hot start in BOS, Gonzalez's status in NYY and Wendle's imminent re-entry in TAM. PT TOMORROW: NL West—Can Urias find playing time in the Padres infield? Another prospect hopes to join the excitement in SD, along with a look at the LA bullpen and COL rotation, plus a rising 1B in ARI and the Giants' latest solution in LF. Led by Dan Vogelbach, SEA hitters have assaulted AL pitchers for the season's first two weeks, but their futures still look murky. Some early HOU, OAK, and LAA lineup thoughts, and more. J.D. Davis eyes more playing time at 3B for NYM. Plus, contenders for the closer throne in MIA, a long-term, under-the-radar pick for saves in PHI, musical chairs in the ATL rotation, and more. Luis Castillo has changed his pitch mix early in 2019, resulting in a surging strikeout rate in CIN. Also: a fresh look at the outfield situation in STL and PIT, reinforcements in the CHC bullpen, and the heavy dose of fastball MIL batters continue to see.